There are easy 7 steps from which you can decide where you can plan your next vacations whether it may be family or friends. 1. interests:- what you like adventures, history, peace etc is the first thing you have to decide after deciding search on places for eg :- best country for adventures. 2.Visas :- when you done with destination choice see what type of visa are available for travel in accordance with your country passport whether its on arrival or have to pre-apply for the same. 3. vaccinations :- yes you read it right vaccination, you have to take vaccinations for some country you travel to because of many reasons for eg:- if you travel to some places in Africa you need to take vaccination of yellow fever so check before travel if your destination require any kind of vaccination or not. 4. 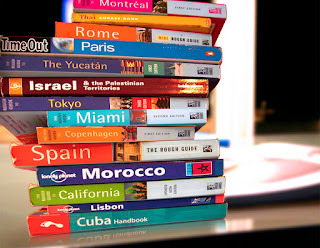 Safety issue:- Do not use domestic news sources or travel guide books as an indication of current events in a country. It's best to check with your embassy in the country of destination. If traveling within your own country, be aware of any safety issues at the location where you want to go. 5. Budget:- Research the price of airfare, lodging, transportation, activities and food before deciding on a travel destination and main is the currency which is being used and its transfer price according to your currency. 6. language :- there are countries who don't even know English language so see the language before you travel or else you have to speak with signs and gestures. 7. Timing:- The most important is the timing whether the timing for going there is right or wrong what is the climate there cold or hot, is it cheap or expensive during that time of the year, what activities are carried out during that time of the year etc. So these points will help you with your travel and selecting the destination and plan your travel accordingly.